Are you a NZ Qualified Registered Electrician? Are you a competent and hard worker? 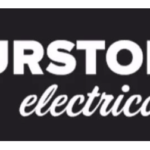 Thurston Electrical Ltd are looking for electricians for an immediate start in Queenstown. To apply for this job email your details to sthurston@outlook.co.nz.